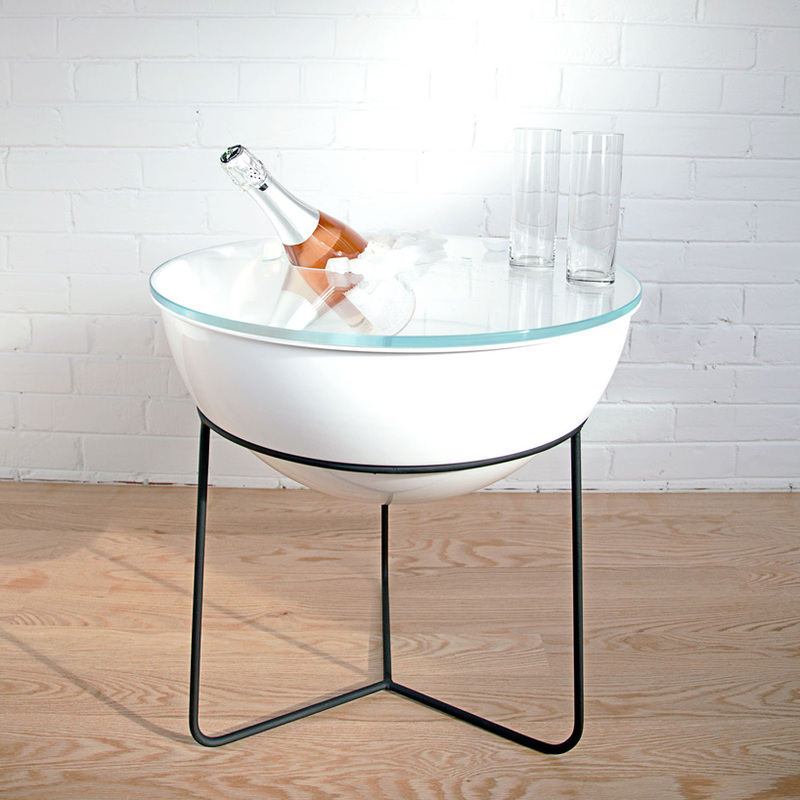 ‘everything table’ is a multi-functional artifact by toronto-based studio object/interface. 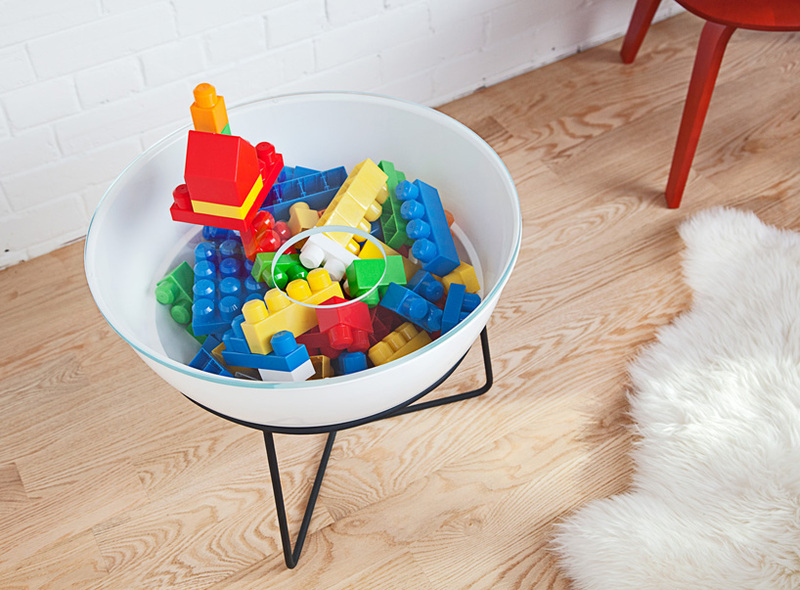 labeling it simply as a table may be a bit under-appreciating of the three component object, which can be used for any purpose ranging from terrarium, to toy box, to ice bucket. 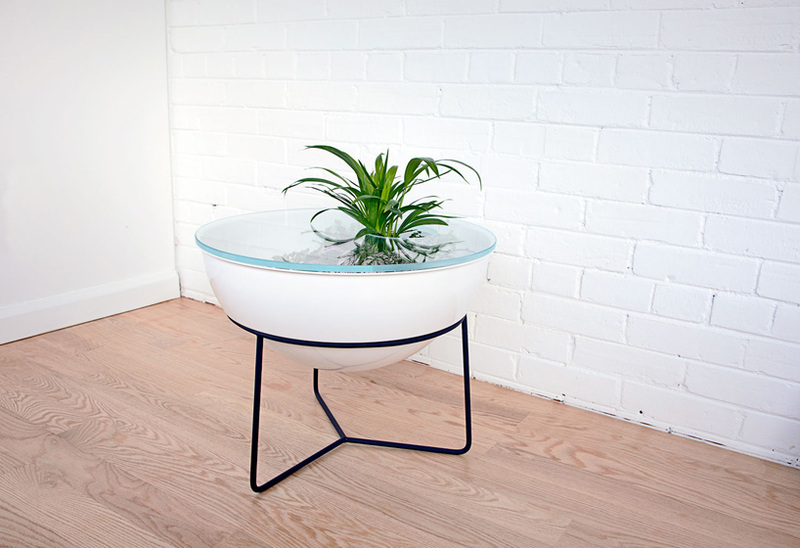 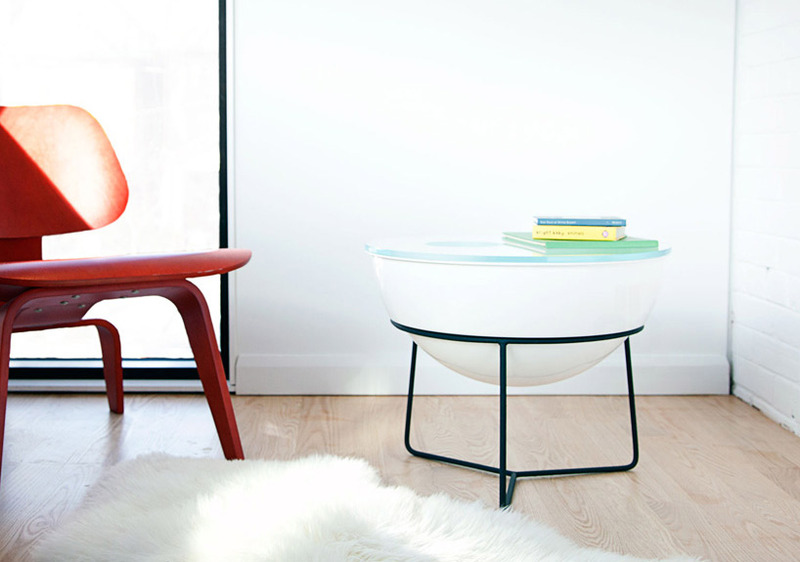 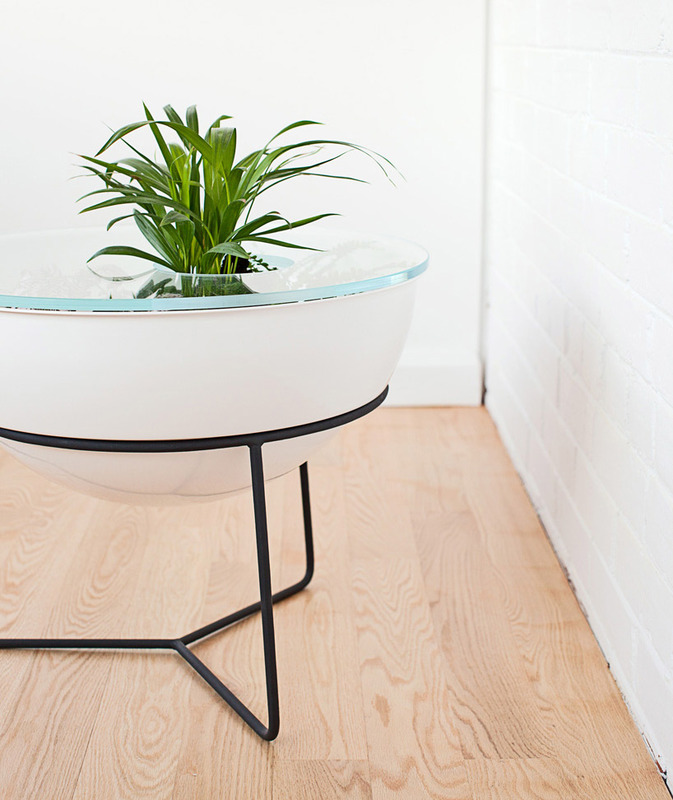 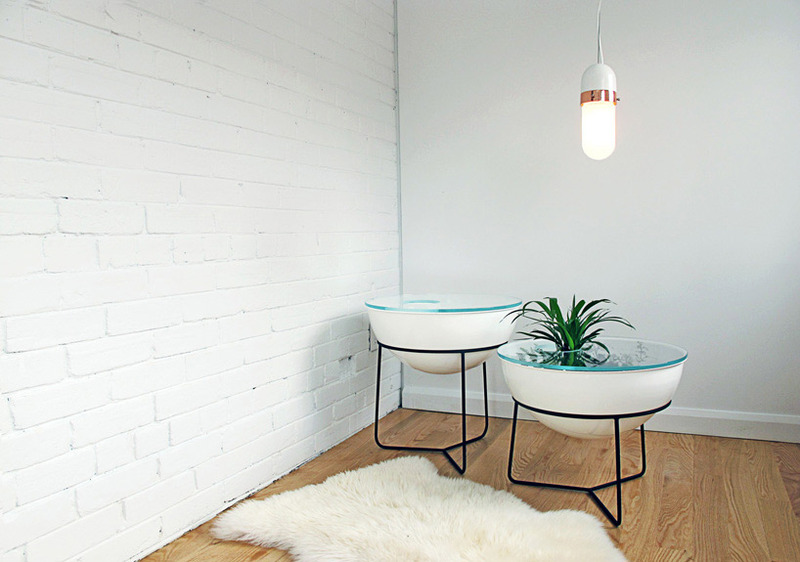 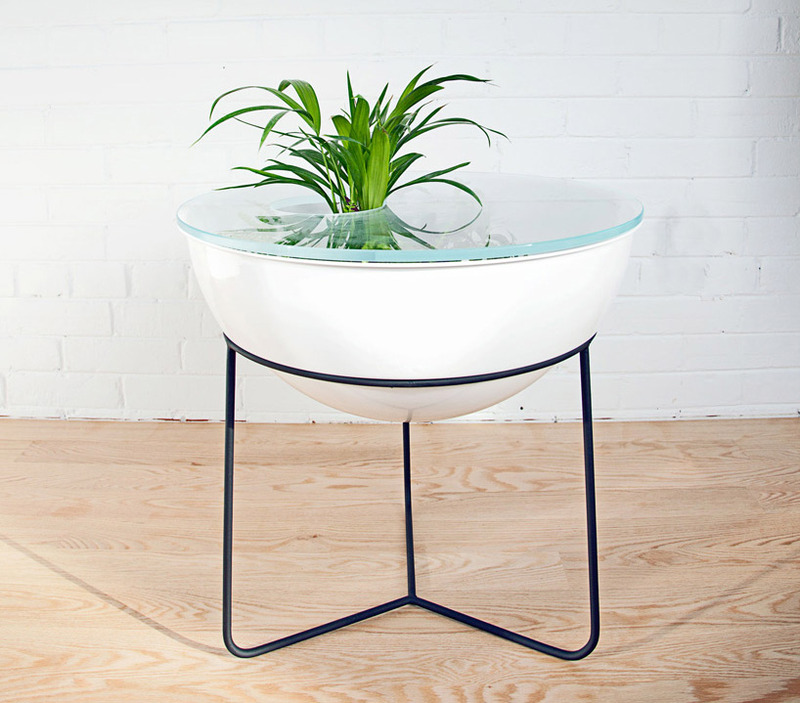 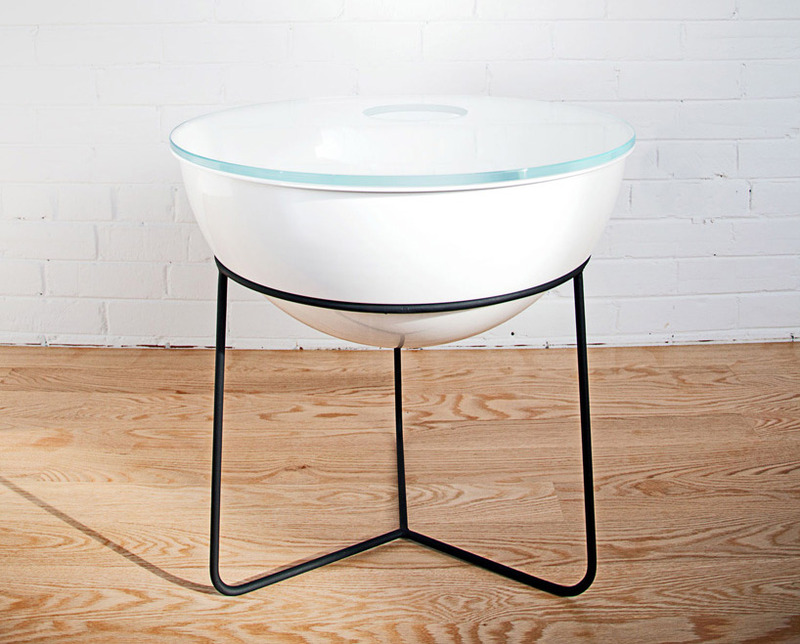 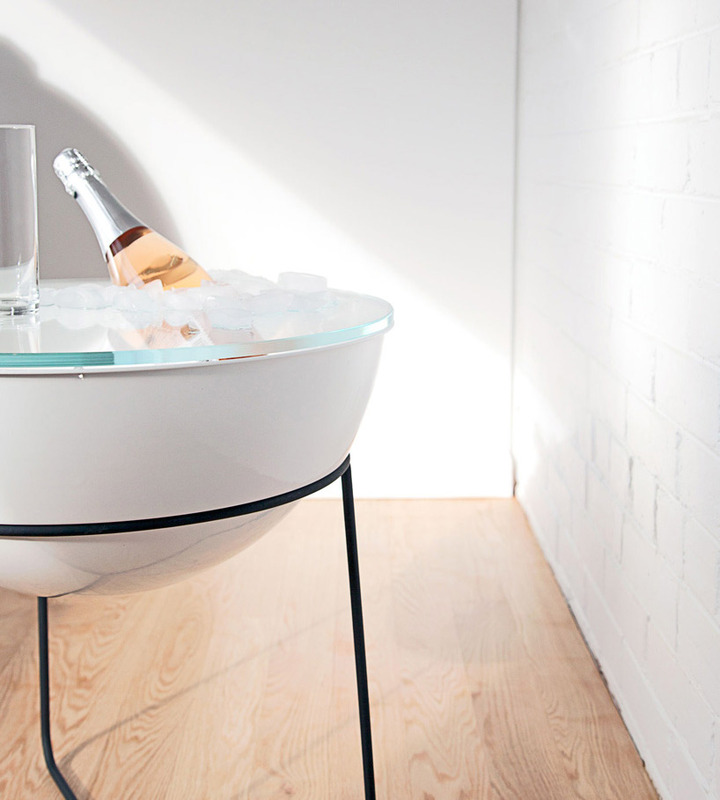 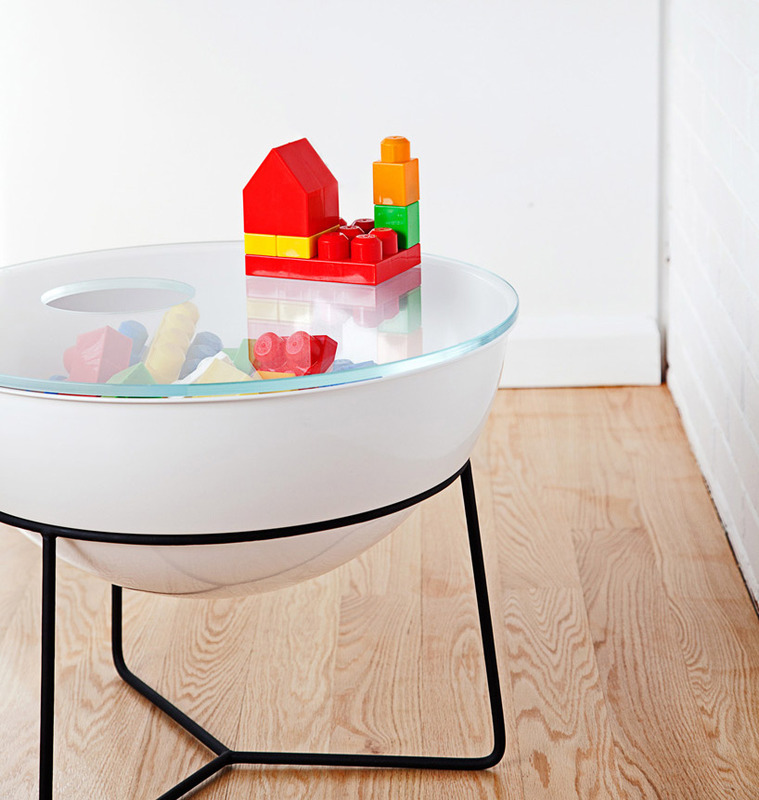 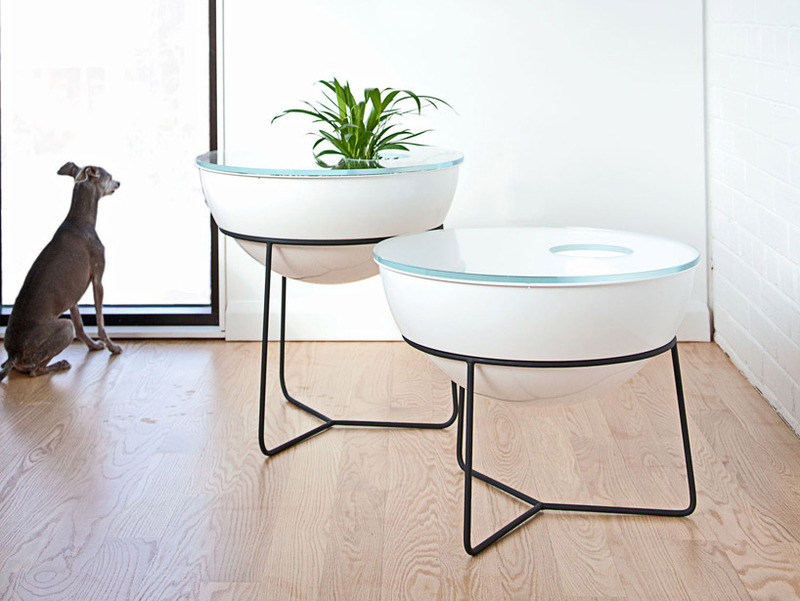 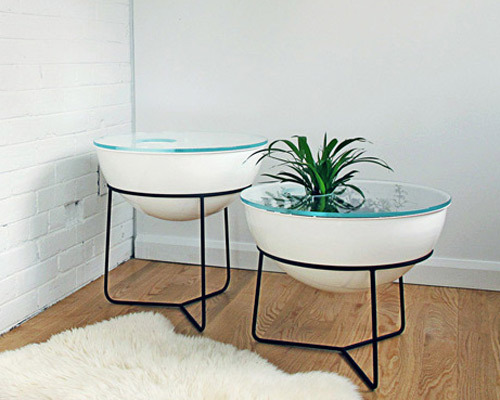 ‘everything table’ is made of a simple bent metal base that holds a large, white bowl covered with a glass surface. 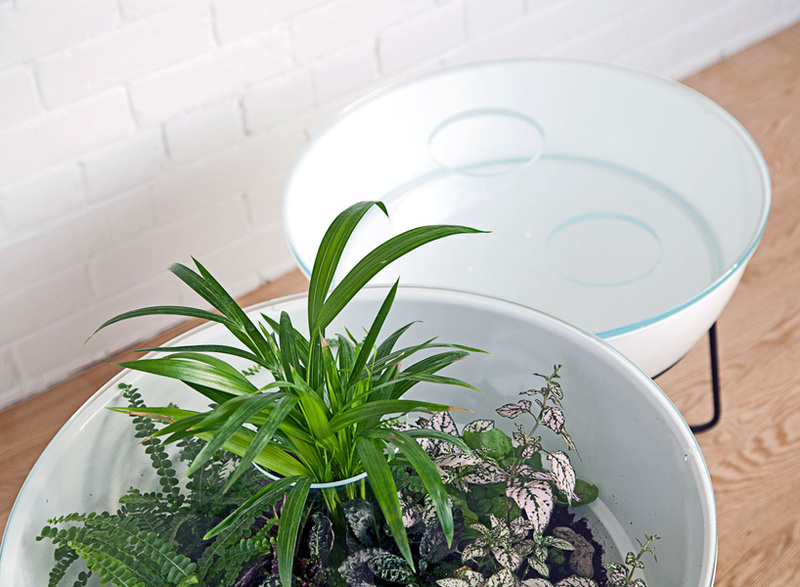 cut from the table is a 5” hole, allowing easy access inside; a secondary level of glass can be placed within to display of store items at different levels.